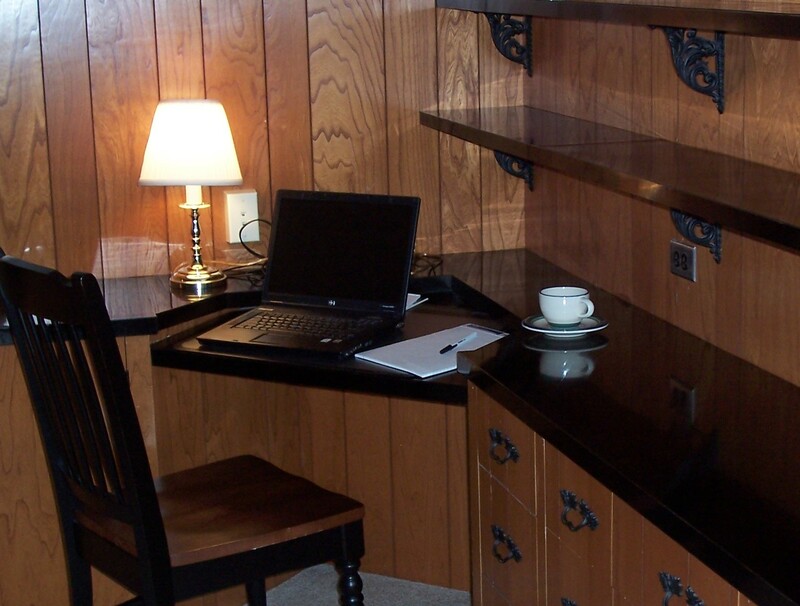 At The Fringe, A Country Inn, we offer the business traveler spacious accommodations with ample work area. Each room has a desk to fit your laptop, research and reports. We have wireless internet access for your convenience. When the work is done, there is plenty of room to relax. Each room has a private bath with a Kohler whirl pool, hair dryer, and refrigerator with complimentary bottled water. Iron and board available upon request. We also have a personal amenities basket located in the hallway. We offer all of this at a great low Corporate Rate of $75 a night, excluding breakfast. Please ask about our extended stay (one week or longer) discounts.